Hey guys, I just (kind of) finished another modular level kit type thing. It's basically done, but there is one thing that's been bothering me about it- it's this awful transition between the "wall" tiles. 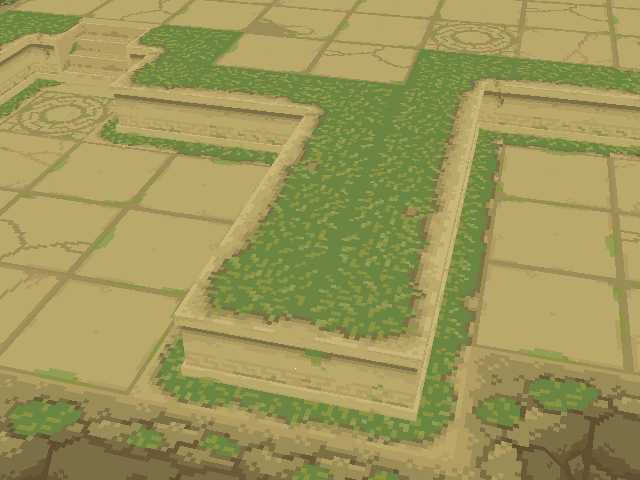 The reason I have the border of it end in stone is so it can transition into the floor above it. But you can see I get that silly line down the center when they're back to back. Here I tried to do away with the stone part to fix it, but I'm worried it makes the border between the floor and walls too straight. What do you guys think, am I just worrying about nothing here? Oh, and I might as well show my textures for critique if you guys feel like it, I could probably use some advice on the grass. I didn't really notice the problem at first, maybe I'm just very used to how things like this work. You could well just make the tiles themselves slightly smaller, adding a wider edge in between each tile. 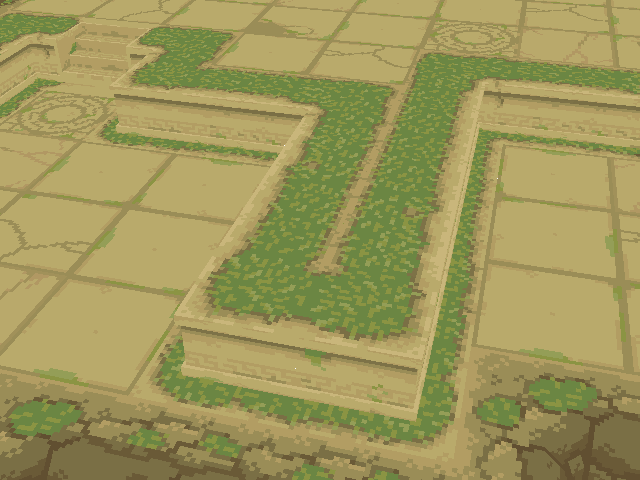 OR you could make it so the grass grows in between the tiles, as realistically this is how the grass would behave. In just a couple years the tiles in our yard have grass growing in between the tiles even though we get rid of them almost every year or so. 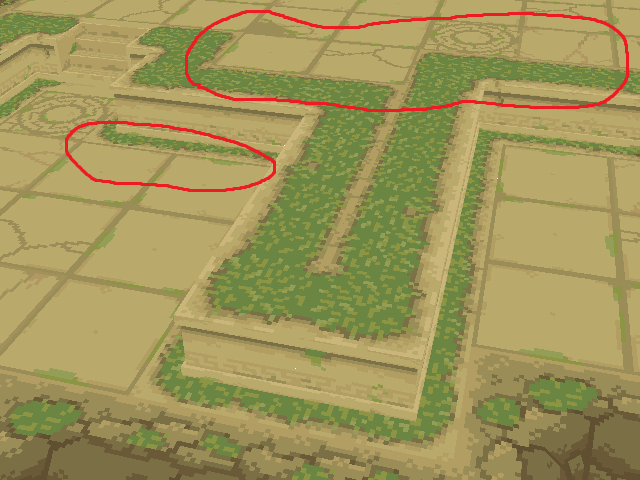 This would be a precedent for this behaviour in your tiles as well.